Home :: Power Supplies / PoE :: Mikrotik 12POW150 PW-12V150W Hot Swap power supply for CCR1072-1G-8S+ - New! Mikrotik CCR1072-1G-8S+ is equipped with two redundant Hot Swap 12v 150W AC/DC power supplies - if one of them fails, the second one will take over. 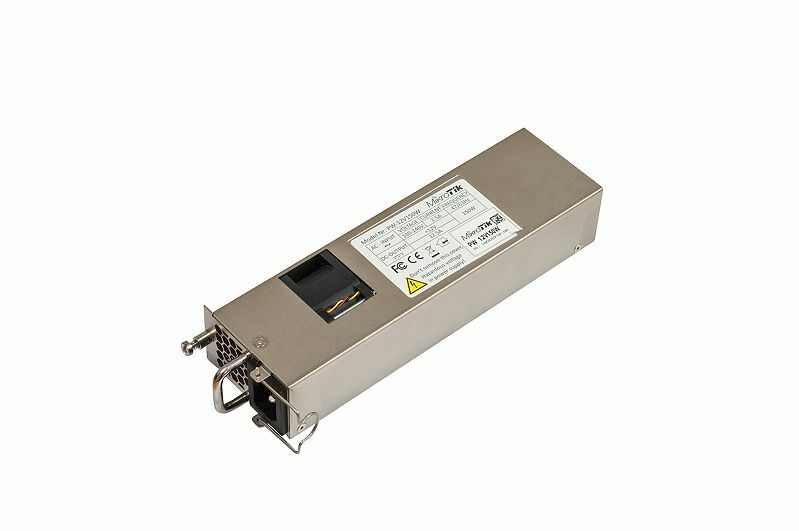 12POW150 Hot Swap 12v 150W AC/DC power supplies for CCR1072-1G-8S+ are now available for purchase separately. You can replace them on the go to ensure zero downtime, no need to even restart the router!